A warm black hue refreshes the look of a classic wool-blend coat that takes style cues. 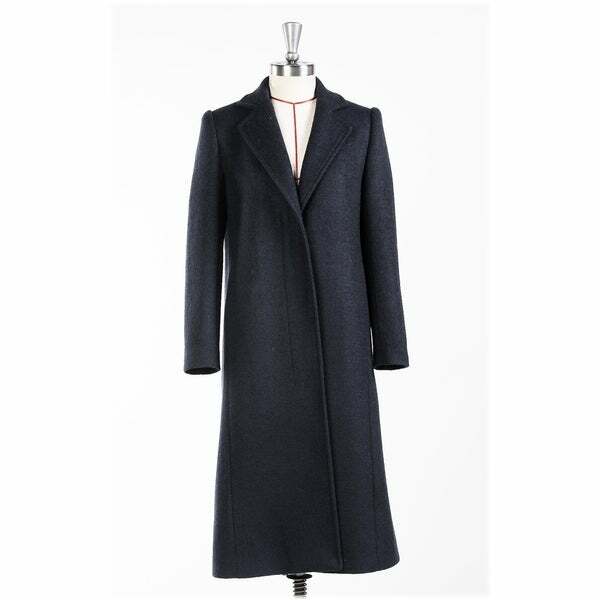 A full-length wool coat will take you elegantly through every nippy season for years to come. And also this notch-collar coat will be one you reach for year after year. You can layer this extra-long coat over whatever you like. I ordered a size Large size for this coat & it was too small. I wear a size 8 & thought by ordering the large size because during the winter, I like to wear heavier sweaters. The shoulder fit was too tight & the sleeves were way too long. It's unfortunate because I really liked the design of the coat. Additionally it was backordered & was very disappointed upon finally receiving it.